Socks, socks, socks, and oh yeah, more socks. We just celebrated Memorial Day weekend here in the the states, which, for a lot of people, means the unofficial first days of summer. 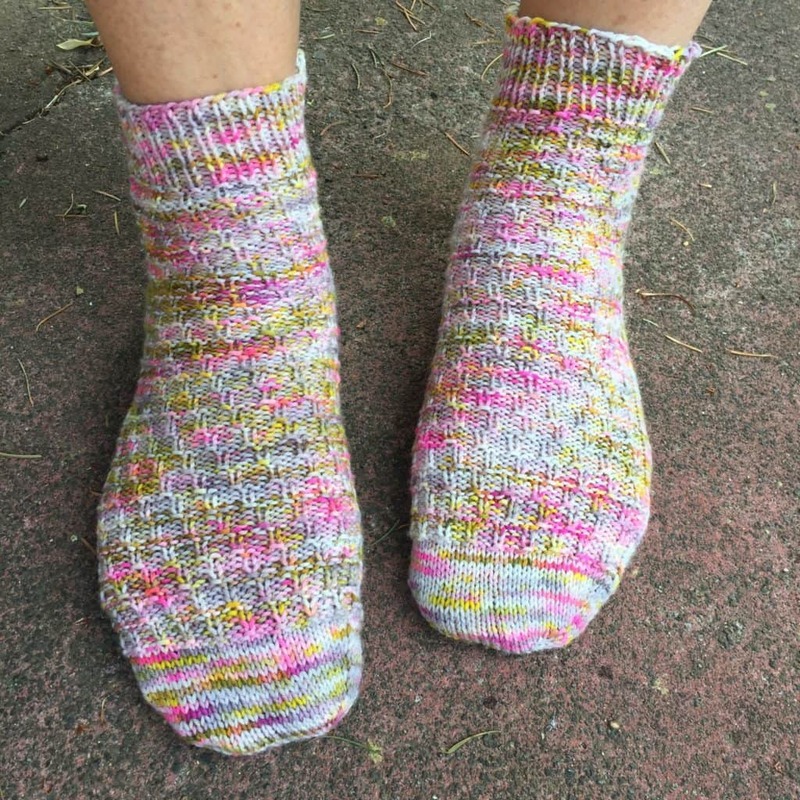 For Lorajean and me and aaaaallll of our knitterly sockerly friends, it also means the first day of the Summertime Sock Knitting Extravaganza, aka Socks on Vacay! I’m obsessed with socks, as everyone who knows anything about me knows. I always have oodles on the needles, and, for the last long while, they are almost exclusively Knitted Wit‘s Victory Sock or DK. There are a few reasons for that, but these two are the most important: it’s damned good sock yarn, and her colors are the absolute best. 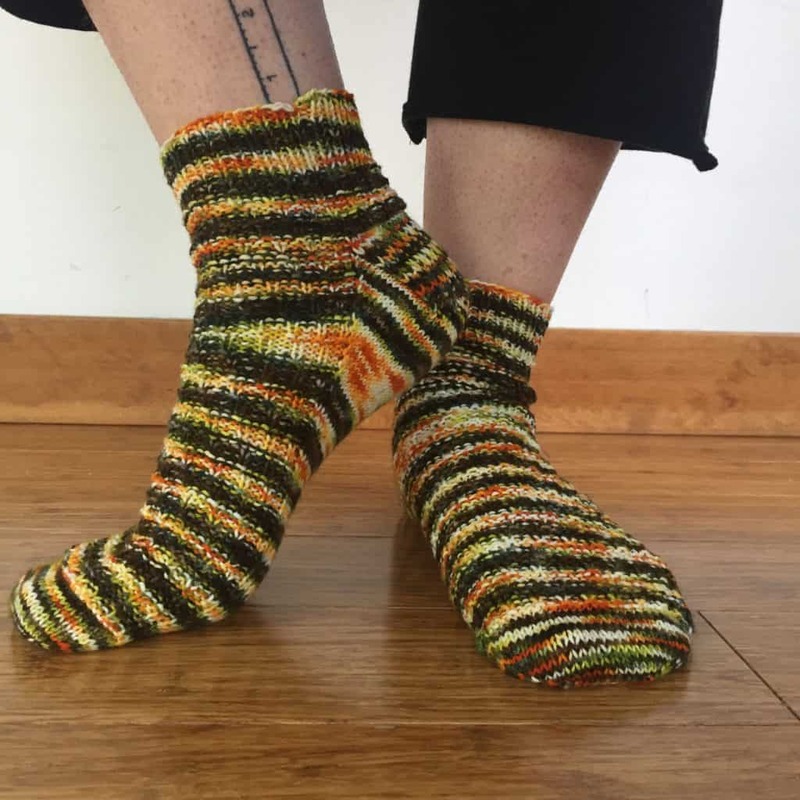 I wanted to share a few of my older sock patterns that haven’t gotten as much traction as others, in the hopes that folks may rediscover them during Socks on Vacay this year. 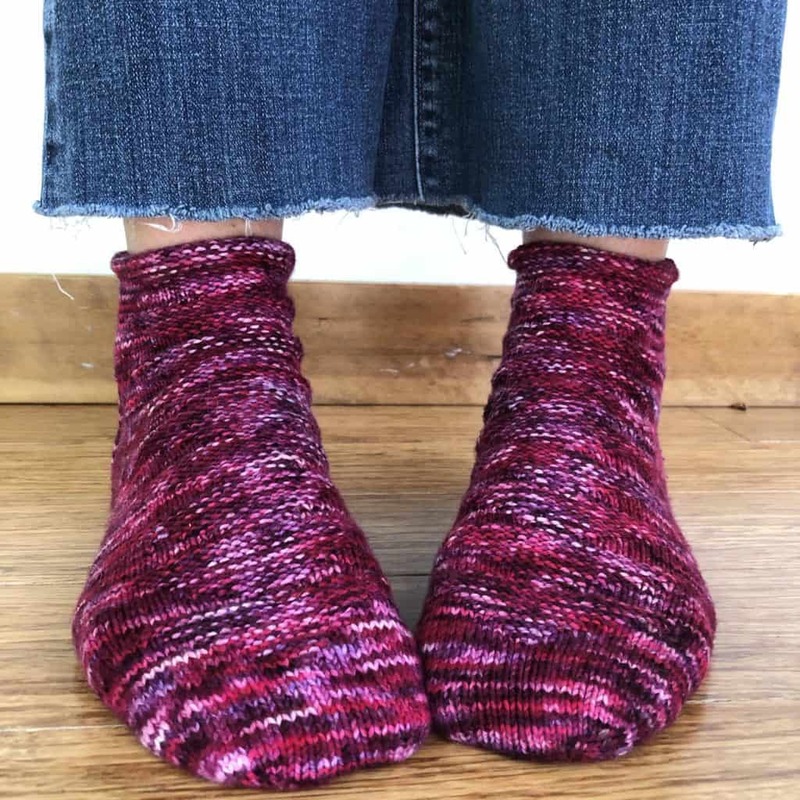 Another sock pattern that I am totally going to revisit this summer is from year one of Socks for Busy B’s: Short Attention Span. I made five pairs of these, but only one in Knitted Wit! Gotta get that number up, party people! Short Attention Span was a part of the first Socks for Busy B’s, along with Smithy and Stolen Moments. 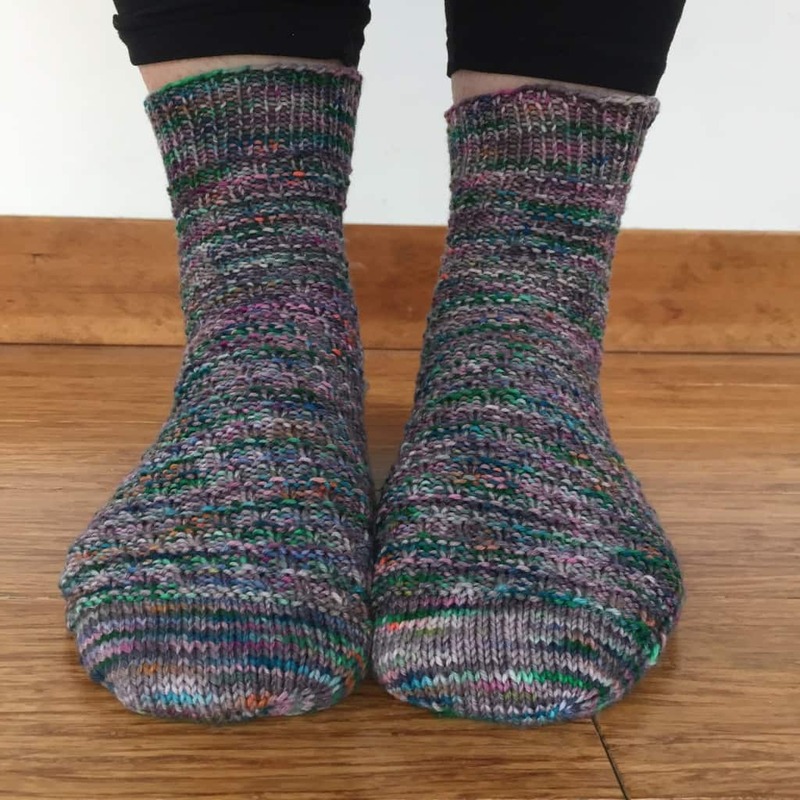 It’s got an upside-down triangle, flying-geese-esque situation going on on the front of the sock, and, once you’re past the heel, some ribbing along the back. Finished with a reverse-stockinette cuff, they’re the perfect little things to wear, as I do, with my favorite floods. 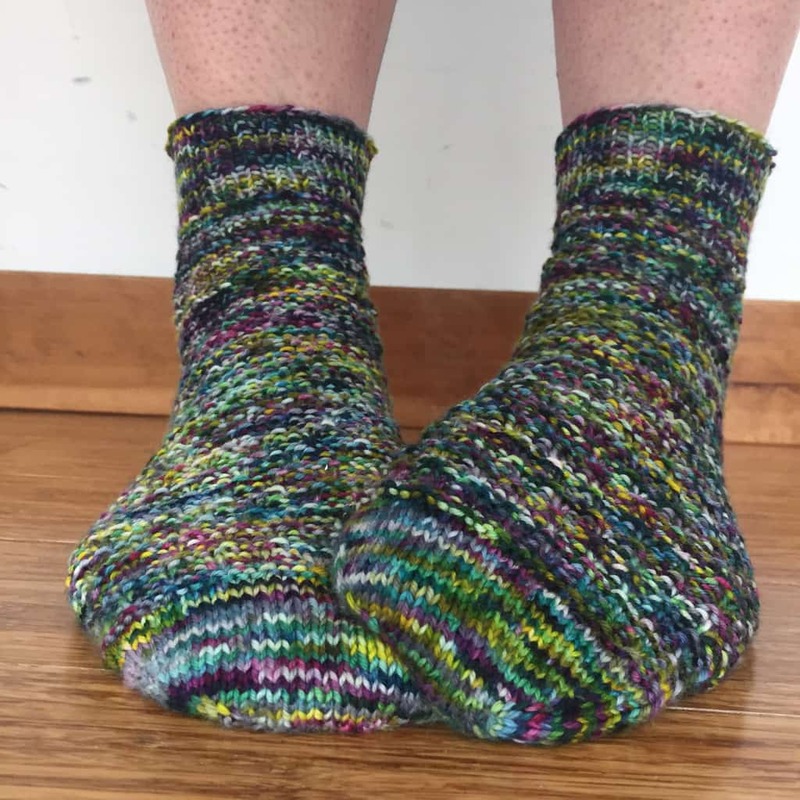 All three of the Socks for Busy B’s collections are available for purchase; both Socks for Busy B’s and Socks for Busy B’s 2 are $15, and each pattern is offered in both toe-up and cuff-down option, with many sizes and variations. 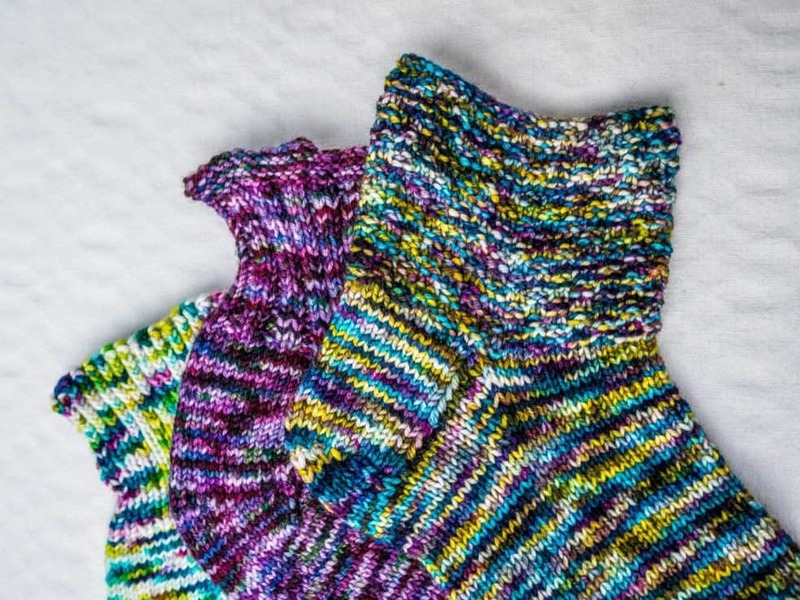 Socks for Busy B’s 3 is just $10 (an intro offer) because there’s only one pattern in it so far! As more patterns get added, the price will go up, and it will end up at $15, like the other sets. Cute socks… can they be laminated?